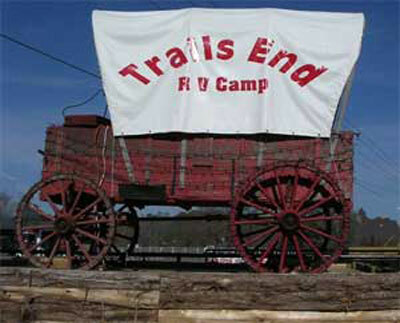 Welcome to Trails End RV Camp! 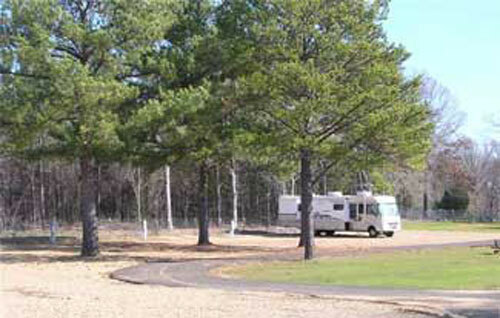 and Tyler area RV Park Campgrounds in Texas! Sitting on the banks of Lake Palestine, we are located 10 miles south of Tyler, 6 miles from Bullard and 1/2 mile from Heaven! Our RV campground facility is full of family atmosphere and situated where you can enjoy all the beauty, history and amenities East Texas has to offer! A place where you can hang your hat and relax! And we're close to gas stations, grocery stores, good restaurants, and much more! See our Rates & Maps page. We have our own boat ramp on Lake Palestine for good East Texas fishing! 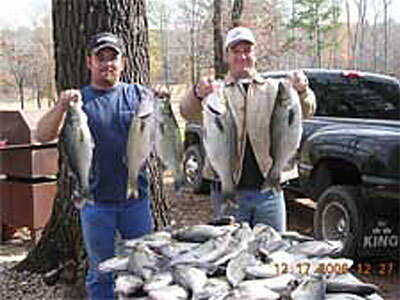 A sample of fishing out of Lake Palestine! 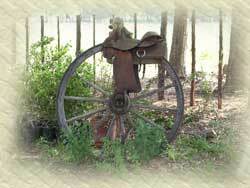 We are located on FM 344 just 1.1 miles east of Highway 155. LOOK FOR THE BIG RED COVERED WAGON!